India's largest airline in terms of market share cited adverse impact of foreign exchange, high fuel prices and the competitive fare environment for fall fall in profitability. Budget carrier IndiGo's parent InterGlobe Aviation on Monday reported a 96.6 per cent decline in net profit at Rs 27.80 crore for June quarter. India's largest airline by market share had reported Rs 811.10 crore profit in the year-ago quarter. The aviation company cited adverse impact of foreign exchange, high fuel prices and the competitive fare environment for fall fall in profitability. Aircraft fuel costs rose 54.4 per cent YoY during the quarter to Rs 2,715.60 crore compared with Rs 1759.2 crore in the year-ago quarter. However, sales from operations rose 13.2 per cent to Rs 651.20 crore in the quarter, compared with Rs 575.29 crore in the year-ago period, it said in a regulatory filing. "While we faced headwinds during the quarter, we remain focused on executing our long term plan. 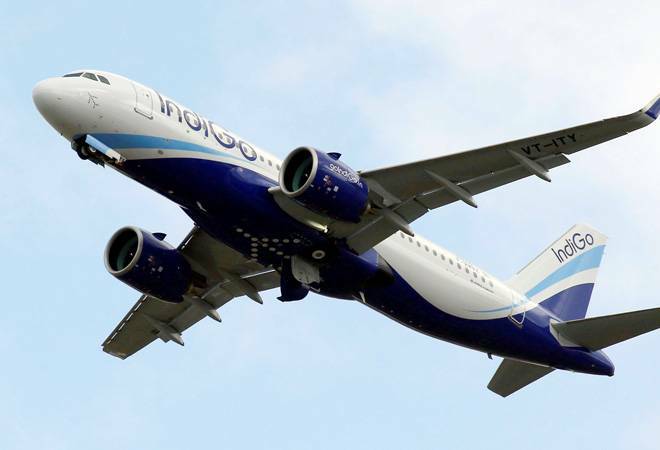 We added capacity into new routes and destinations domestically and also continued to connect international destinations to various cities in India," IndiGo co-founder and interim CEO Rahul Bhatia said in a statement. The passenger ticket revenues for the quarter rose 13.6 per cent to Rs 5,769.40 crore while ancillary revenues were up 16 per cent at Rs 682.70 crore. The company's stock ended 0.23 per cent lower at Rs 1,004.25 apiece on the BSE today, against 0.42 per cent jump in the benchmark.